As Vice President of Ackerman Medical since 2003, Kevin is responsible for the leasing of all medical office projects developed by Ackerman & Co. 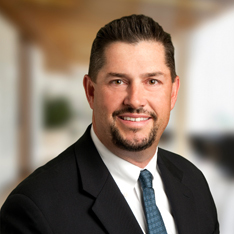 He brings more than 15 years of real estate experience to Ackerman, having spent the last ten years specializing in healthcare related services. Kevin began his real estate career in 1994 with Trammell Crow Company in Atlanta where he oversaw the management and leasing of 4 million square feet of office and industrial product serving almost exclusively Fortune 500 clients. In 2000, he shifted his focus to medical when he accepted a regional position with Medical Properties of America (a privately held REIT). There, he was responsible for the management and leasing of nearly 300,000 square feet of medical office space. Through high tenant retention, lease up, suite renovation and strategic capital improvements, the value of his portfolio increased significantly during his tenure and was ultimately acquired by an institutional investor.